American Reality Capital will pick up more than 500 restaurant leases via a $1.5 billion deal. Nicholas Schorsch just used his crusher claw to close another big transaction. American Realty Capital Properties (ARCP) said Friday that it has agreed to a $1.5 billion sale-leaseback transaction for over 500 Red Lobster restaurant properties. The deal is part of Golden Gate Capital’s acquisition of Red Lobster from Darden Restaurants. The news comes just three days after another Schorsch-led business, RCS Capital Corp. (RCAP) announced a restructuring of the executive lineup in charge of its 9,000 independent reps. These shifts included the departure of Valerie Brown as the head of Cetera Financial and the ascension of Larry Roth to the post of CEO for RCAP’s independent broker-dealer operations. According to ARCP, the purchase price of the Red Lobster properties involves a GAAP capitalization rate of 9.9% and a cash cap rate of 7.9%. Some 93.5% of the $1.5 billion portfolio’s leases will be structured with a 25-year initial term; the remainder (constituting leasehold assets) will have a weighted average 18.7-year initial term. Red Lobster has been in business for roughly 50 years, and ARCP expects the chain “to successfully continue in the future.” The leases permit Red Lobster to stay in the locations beyond the initial 25-year term. In a corporate sale-leaseback transaction, the landlord enters into a partnership with the occupant, ARCP says, and provided the tenant with the opportunity to monetize their non-earnings assets (i.e. real estate) for deployment into its business. “ARCP has diligently underwritten the assets at or below market rates, such that should Red Lobster vacate in the future, there would be considerable upsize opportunity in releasing these well-located parcels at future market rents,” it said in a statement. ARCP is a self-managed, publicly traded Maryland corporation that buys and owns single-tenant freestanding commercial properties subject to net leases with high-credit-quality tenants. In October, the corporation announced its purchase of Cole Real Estate Investments in a deal worth $11.2 billion. 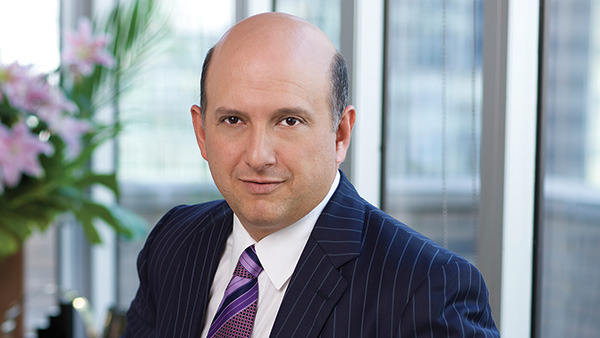 Check out Nicholas Schorsch, the Mission of a Man: The IA 25 Profile.